Taskeen Zahra reports back from Lahore’s latest sizzling burger joint! You know when you look at a billboard flashing a fat, juicy burger and wonder “Burgers don’t ever look this good”. 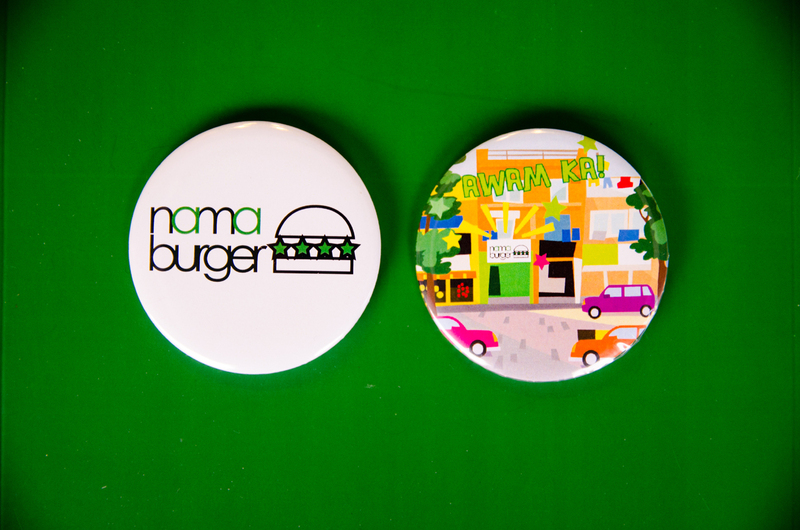 Well, Nama Burger serves you those dream burgers, and you guessed it – they are absolutely divine! The men behind #AwamKaNamaBurger are renowned polo player, Hissam Ali Hyder aka Namu and Syed Hasnain Ali. 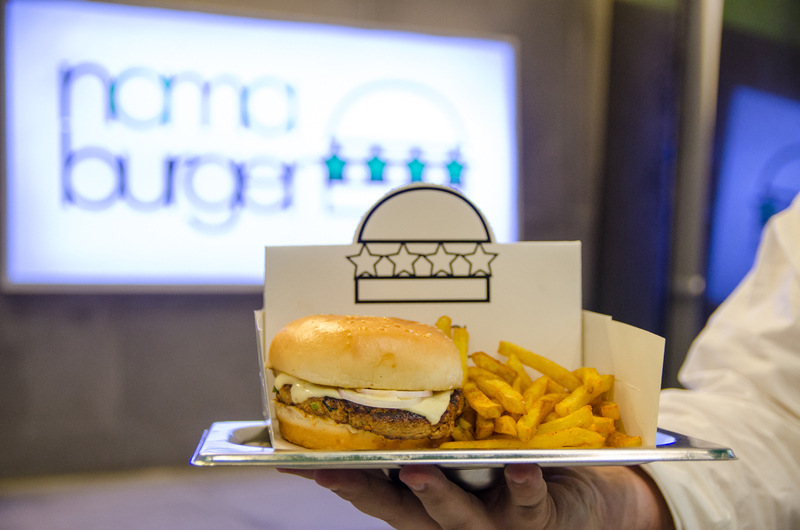 They wanted to create a Pakistani food chain that would be for everyone, or as they put it, “for the awam.” With affordable prices and ah-mazing food, Nama Burger has me swooning for more! Sticking to their roots and wanting to make this a predominantly Pakistani food chain, you’ll find a lot of green and white in the logo and the store board as well. Nothing speaks love of Pakistan more than Nama Burger. Strictly a takeaway burger joint, this new eatery aims at delivering the best burgers to its customers. Leaving you spoilt for choices, the menu has a little something for everyone. With oozing melted cheese, aka the key to my heart, the Chicken Cheese Paratha is a whole meal on its own. However, I’m sure meat lovers would agree, the Beef Cheese Paratha tops the charts. 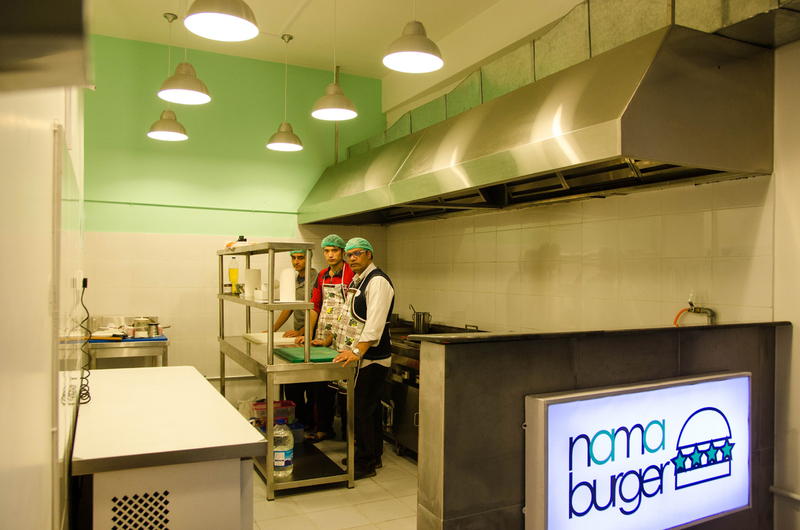 At its core, Nama Burger serves desi food with a modern twist, which makes it a great place to head over to with family and friends. The Chappal Kebab Burger is the epitome of fusion – with a thick, juicy patty inside a hot sesame bun – making it the ultimate two-worlds-collide kinda creation! What’s not to love? Ah, the wonders of having options means that you never have to leave out that one friend that can’t handle the heat that comes with our local spices. The Chicken Cheese Burger is cheesy perfection meant for the mild hearted, while the Chicken Tikka Burger has a bit more of a kick. Flavour and spice, and everything nice! This isn’t your ordinary Anda-Shami Burger! The shami is tender and cooked to perfection, but that’s not even the best part. It’s enveloped into an omelet blanket, which leaves the shami hot, juicy and bursting with flavour with every bite. Nom nom! We all love a little masala in our lives, and when it’s graciously sprinkled on top of fries, it makes you want to gobble down a whole batch without any concern for calories! 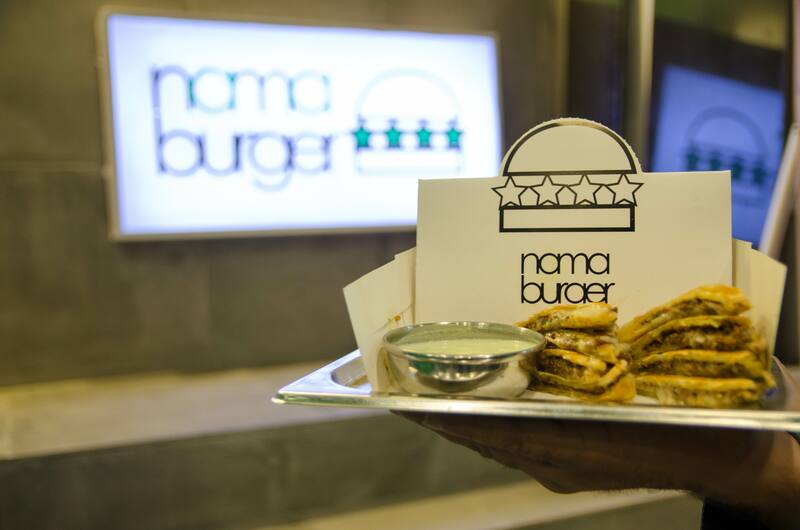 Be warned, you will need to loosen those pants once you try the Masala Fries at Nama Burger – truly desi with a twist of potato wonder. In a city with an omnipresence of several variations of Nutella naans and parathas, the Nutella Banana Paratha at Nama Burger truly stood out and won over my heart! 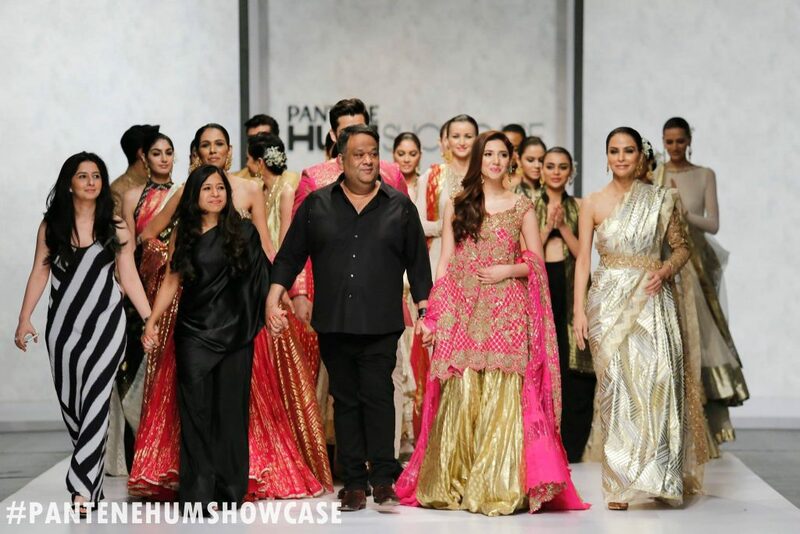 With an abundance of warm chocolate inside a slick, desi paratha and served with slices of freshly cut fruit, this had got me truly going bananas (pun intended)! 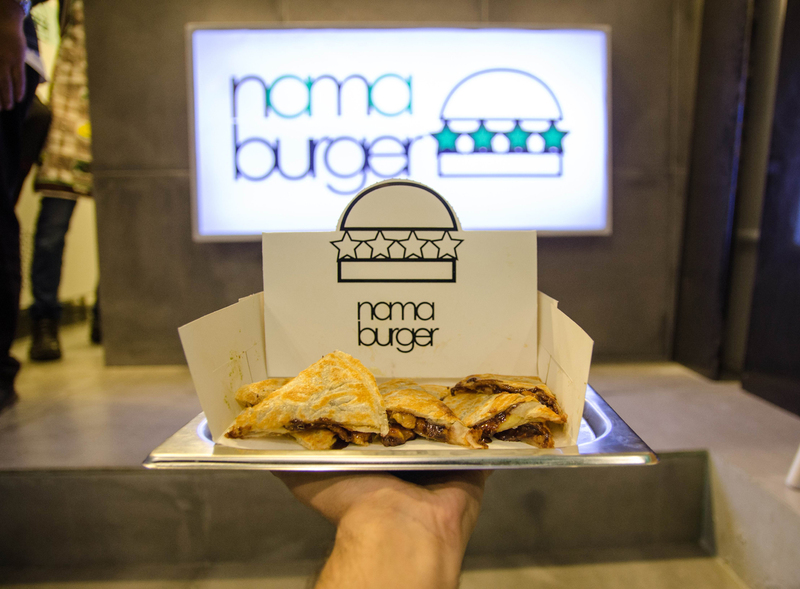 Food from Nama Burger isn’t just food, it’s an unmissable experience. Located at 100 – H Block, Defence, Lahore, rush over for a true burger experience, and order in some hot buns!